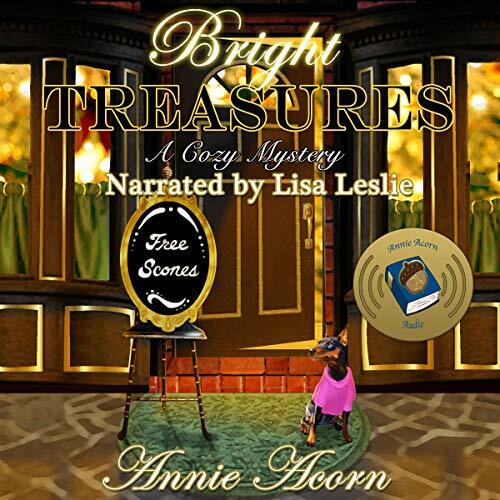 Annie Acorn Audio is pleased to present Bright Treasures, written by Annie Acorn and narrated by Lisa Leslie. Angelique MacDuff paused as the knot in her stomach tightened. Across the pavement of Bright Seas’ Main Street, the shop waited, but whether it beckoned or warned her to turn and run, she couldn’t have said. Sixteen months ago, her husband left the tarmac’s safety in their newly purchased delivery van and drove off a precipice northeast of town. There had been no screech of brakes before their van had headed straight for the cliff’s edge, where it had left the Earth and, for a moment, hung suspended in the air before plunging into Bright Seas Bay. Death had been attributed to a fractured skull. At first, she hadn’t cared about the cause. As time passed, though, she had taken comfort from the fact that her husband hadn’t drowned. Then, she had begun to question. 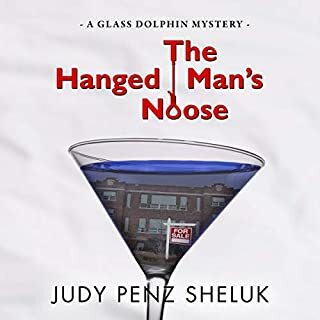 So opens the newest, full-length cozy mystery from internationally beloved, From Women’s Pens author Annie Acorn. Once again, Ms. Acorn weaves together an interesting cast of characters, as a tangled web tightens around them. Filled with an abundance of clues, we bet you still won’t solve this unique puzzle before the end. 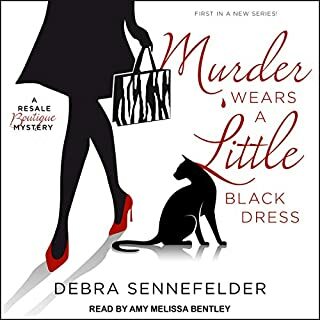 I love cozy mysteries and romances so this one I was pretty drawn to. Without giving the story away I will say that I did find it very enjoyable and the narration was very well done and I give it 4 stars. The reason I gave it 3 stars overall was mainly due to the fact that although the pace of the book truly fits the story I tend to like a slightly faster paced book. I also thought the story was a bit confusing in the way it jumps around from current to memories and then throws in a paranormal aspect to it, which is fun but you definitely have to pay closer attention to this book. If you like a story with a journey that is a little slower to unfold then I would highly recommend this book, but if you are drawn to a more intense mystery/thriller then I think you will find this one too slow. I love mysteries and this does have potential but I just found it slow going. I actually put it down and went back to it a few times. I would still recommend it if you don't mind the slow pace. This book as just okay it was sort of difficult to follow. I had no idea that some of the characters were talking from the grave when it first began. The story has the potential to be really enthralling but it lacks in the details. The characters were likeable enough but it seems like the author glanced over a lot of the back story. I felt like this should have been book two not book one in the series. Overall not a bad read. the narrator did a pretty good job with the material available. I received this book for free for an honest review. This is a thoughtfully woven story that jumps from character to character, so you need to pay attention to keep up. With each character you are given another piece of the whole puzzle. While Angelique is the main character everything centers around there are many others in this story who complete the mystery. There is some paranormal aspects, but nothing too heavy or off putting. 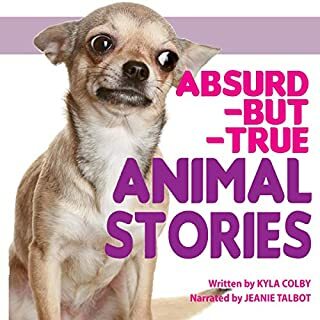 The narration is well done and adds to the depth and charm. Again, this is a more in depth cozy, and one you really need to focus on, as there are so many details and moving plot lines. But don’t let that deter you, it’s really worth it when it all comes together! A tale of mystery, with touches of romance and paranormal thrown in for good measure. I found it interesting but not as attention holding as I look for in a good listen. The narration was well done. The characters were well portrayed by Lisa Leslie. I get what the author is trying to do here, but, her efforts fall a bit short. The story seems disjointed because it moves in between various points of view. II stopped listening after chapter 6. Nothing surprises me in Bright Seas. Richard McDuff's dream had been to open Bright Treasures, an Antiques and Edibles shop in small town Bright Seas, where he'd grown up. He' d spent months collecting items for sale and he'd leased a shop for three years. Then he died. Sixteen months later his wife was still desperately missing him and unsure what to do. But with a year's lease left on the premises, she decided to go ahead in honour of her husband. With the help of her elderly but vivacious and cooking loving landlady, the business becomes an instant success, and Angelique herself draws the attention of newly returned home lawyer, Jack, who had also been Richard's best friend. So far, so good. Interesting characters (although it does seem that everyone is a bit batty, mostly elderly, and all related to one or other of two families) and with the potential for - well, almost anything from romance to mystery. However, it seems that the young window's dog has better instincts than most of the inhabitants although it takes intervention from above to get ex wife and best friend determined that someone.murdered her busband. Ho hum, only a year or so late. It all turns into a bit of a farce, then, though there is a brief period of tension build up towards the end as the actions, with timings, of various townspeople are spliced together prior to a final denouement. 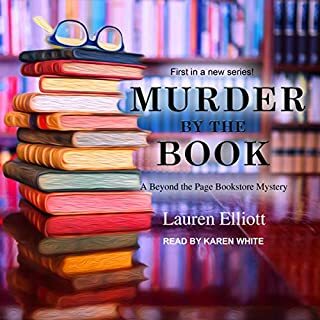 Narrator Lisa Leslie is excellent, reading with clarity and good intonation. 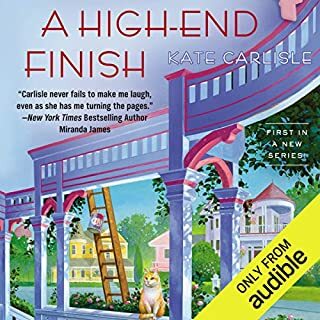 Her voicing of the disparate protagonists is individual and interesting.so that each is separately identifiable, and the text well performed without being overdramatic, thank goodness. This reader is not averse to the paranormal, nor divine intervention, or reincarnation, etcetera, but some of the content of this book just seemed daft, I'm afraid, though good for a laugh at times (exchanging text messages with a dead relative, for example). I was fortunate in being freely gifted a complimentary copy of Bright Treasures, at my request, by the rights holder, via Audiobook Boom. Thank you. Although the characters were delightfully eccentric and well developed, the main storyline mystery was poorly conceived: a great pity. 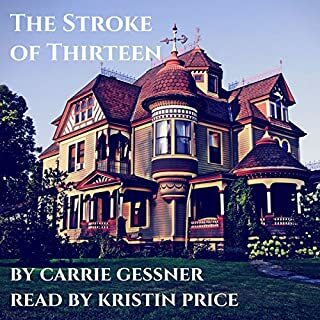 But perhaps now that this first book has been sritten, introducing the strange little town of Bright Seas, author Annie Acorn can continue to expand on the daily lives of these deliciously bizarre but very real people and find a decent mystery to focus the attention of the inhabitants. Yes, including the dog.